The Guantanamo prisoners' hunger strike shows their frustration with the US government's failure to shut down the facility, a top general has told Congress. The US media has finally turned its attention to the strike as it enters its 44th day. 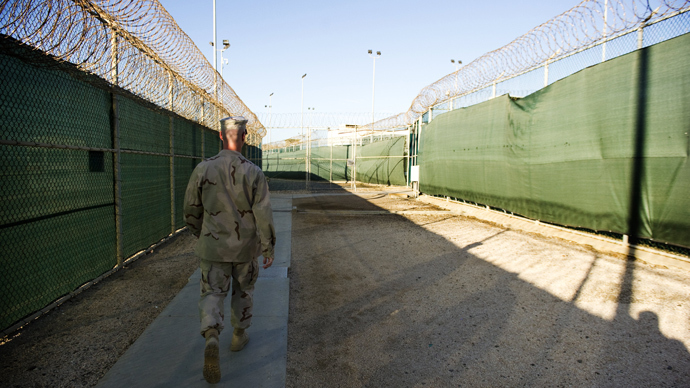 “They had great optimism that Guantanamo would be closed. They were devastated apparently ... when the president backed off, at least [that's] their perception, of closing the facility," Marine Corps General John Kelly said in a speech at the House Armed Services Committee in Washington. General Kelly heads the US military’s Southern Command for the Latin America region in Miami, which also has a mission to oversee the Guantanamo Bay US Naval Base in Cuba. Speaking to Congress members, he denied allegations the hunger strike was a reaction to the mishandling of the Koran, saying that any claims of desecration are “nonsense”. "No way has the Koran in any way, shape or form been in any way abused or mistreated," Kelly said, adding that while it is known that non-believers are allowed to touch the book, the only personnel who had been doing so at Guantanamo were Muslim translators. Speaking later to reporters at a media briefing in the Pentagon, General John Kell, said that the Guantanamo prisoners are on a ‘light’ hunger strike, because they are ‘eating a bit’. Since the prisoners of Camp Delta detainment facility eat communally, it is impossible to establish how many prisoners have rejected to eat nine consecutive times, which is the definition of hunger strike in the detention center, the general said. "Generally speaking, we think about 24 of them are on, say, hunger strike light, where they're eating a bit but not a lot, but they've declared that they're not eating," General Kelly claimed. 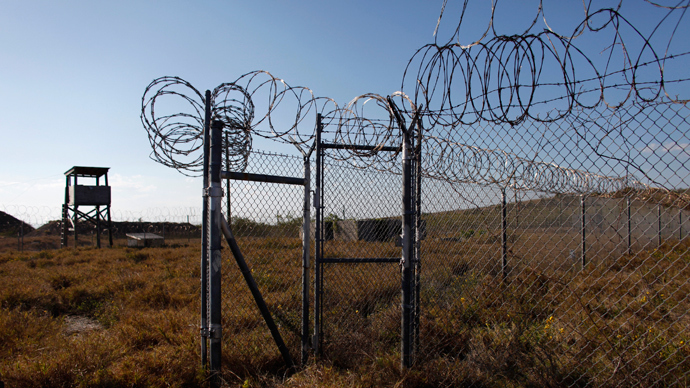 The attorneys representing the Gitmo inmates have continuously insisted the situation at the prison is much graver than the military officials are ready to admit. RT has spoken to David Remes, a lawyer for several Yemeni detainees who were cleared for repatriation years ago, but remain imprisoned in Gitmo. “I was there two weeks ago. I met with six clients from Camp 6, which is where the hunger strike is taking place. All of them are on the hunger strike. They were visibly shrunk and lost a substantial amount of weight,” Remes said. 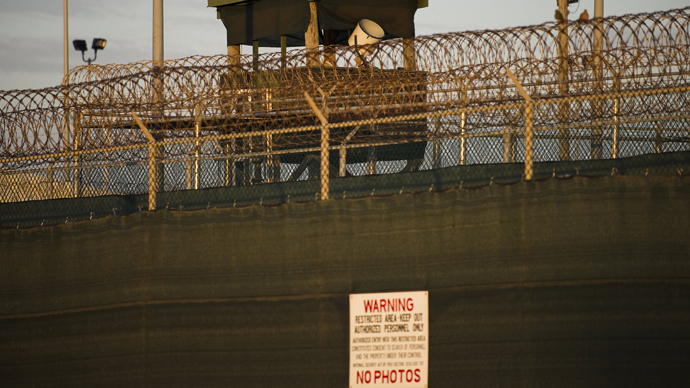 All Guantanamo inmates want is clear knowledge of what’s going to happen to them next, says Stephen Soldz, clinical psychologist, who was a consultant when previous hunger strikes happened at Guantanamo prison. “Those men would tell their attorneys, ‘I don’t want to talk with you. What's the point of talking with you? I only want to know the date I’m going out of here.’ But there is no date. People can't accept being completely powerless and hopeless,” Soldz told RT. 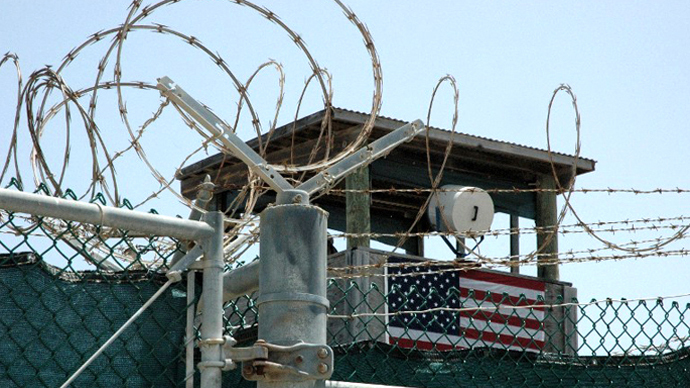 Americans tend to see the Gitmo inmates as terrorists, not humans, believes RT correspondent Margaret Howell. She says what attorneys are trying to do is they are trying to put human face on their clients, by telling their stories. “[There’s] a Pakistani businessman, who actually lived in the United States in the seventies and eighties, owned a television station in New Jersey. This man was lured to Thailand by the CIA and captured in Bangkok and then shipped to Guantanamo Bay. This man is the oldest man in the prison. He is 65 years old. His wife is clearly mentally unstable at this point... Speaking to his attorney he wants to know what's going to happen. At this point he feels like living in a live grave," says Howell. That same day, a group of activists held a rally in front of the White House, calling for closure of Guantanamo and trying to raise awareness of the hunger strike, for it to get more media coverage in the US. Some of the protesters were dressed in orange outfits with black bags over their heads. 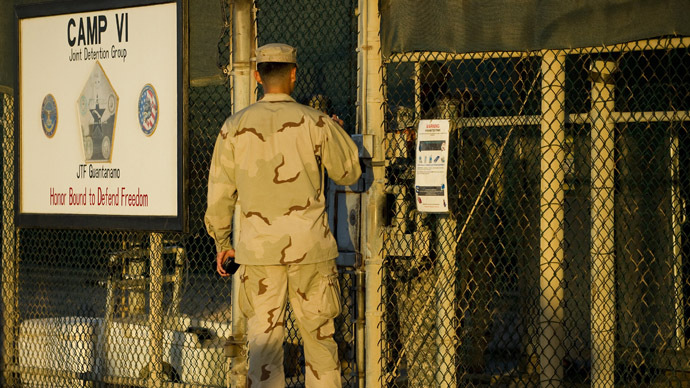 The officially-acknowledged number of Gitmo detainees on hunger strike has reached 25 people, according to the US Defense Department. Eight of them are being force-fed, which means they are administered food in the form of a nutritional supplement through a hose snaked into their nose while they are restrained in a chair. The Pentagon’s acknowledgement of the growing number of Gitmo detainees on hunger strike led to US media finally paying attention to the crisis. CNN mentioned the strike in a brief note for the first time since the protest began six weeks ago. And the news is spreading with mentions in around 60 more US media outlets. For a more detailed account of the story go to RT’s Gitmo hunger strike timeline.